One of the benefits of being a smaller, independent restaurant is that we’ve been able to build a strong connection with our regular diners. We feel extremely lucky to be able to see the same, familiar faces popping in on a weekly basis, sometimes even just to say hello! This has led to us developing a strong sense of appreciation for our customers and, since you look after us, we want to look after you. That’s why we’ve teamed up with the leading Halal restaurant-finding app, the Halal Dining Club, to bring you a variety of loyalty and discount rewards that will satisfy both your stomach and your wallet, all at the tap of an app. To take advantage of the perks on offer you’ll need to download the Halal Dining Club app to your smartphone. The app includes a number of useful features, so with plenty at ‘steak’ it’s definitely worth getting. HS&Co customers can sign up to receive exclusive offers issued directly from us to you, and the app has the facility to customise your push notifications, meaning you never have to worry about missing a deal. You can also view our full menu as well as a detailed map of our location all within the app. There’s also the opportunity to earn cashback rewards every time you visit HS&Co, which can be redeemed the very next time you dine with us. The process itself couldn’t be more straightforward. Simply open the Halal Dining Club app on your phone and select the ‘loyalty’ tab at the bottom of your screen. Click on the promotions tab to see what offers we have on. When you come and dine with us, all you need to do is select the rewards tab and tap the ‘QR’ code icon towards the top of your screen. This will open up your camera, allowing you to scan the QR code the restaurant staff will present you with to earn cashback. When you wish to redeem them, the restaurant staff merely scan your QR code using their own version of the app and shazam; one reduced bill. Not fussed about treating yourself? Donate your points to charity instead. Like us, the good people at the Halal Dining Club understand that giving back is important and their in-app points system allows users to accumulate points through engagement, for example setting up your account and leaving restaurant reviews. These points can then be allocated to charity partners, giving you the chance to support some fantastic causes by helping them to provide vulnerable communities with clean water and food. 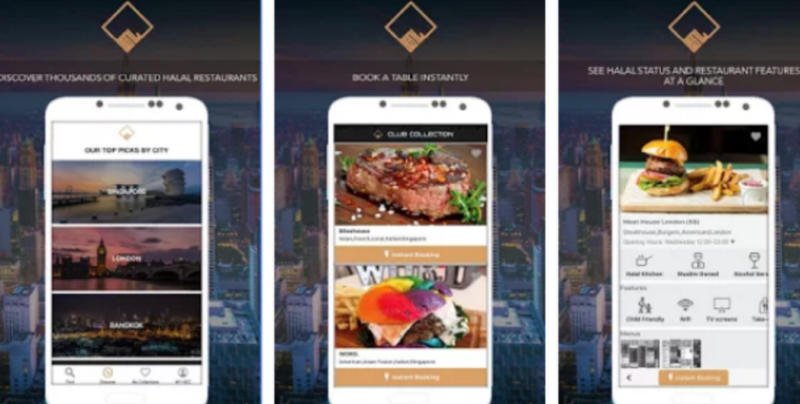 “We’re really pleased to be working with the Halal Dining Club and we’re delighted that they have chosen HS&Co customers to be among the first to enjoy the rewards on offer through their unique app. Simply put, you enjoy great food, receive great rewards and support great causes. Sound good? Set up your account today and start earning straight away.